As the UK welcomes Theresa May into the top job at Number 10 (and she assembles her new team) I have been thinking this week about what makes a good leader. We are all leaders of one kind or another. You do not have to run a country or a big organisation to be a leader. You might lead a group at church, you might be the leader in your home. Nearly all of us have the capacity to lead and there are some good principles about leadership qualities in Psalm 15. However, I think the way Jesus lived His life, gives us the best model of how to be a good leader. As leaders we can sometimes fall in to the trap of thinking we are better than others. Sadly some leaders have achieved their position, by self-promotion and by dishonouring others on their way to the top. But Jesus never promoted Himself. He did not have to. His good works were so obvious, that others talked about him and news about him spread quickly over the whole region of Galilee. (Mark 1:28). Jesus knew who He was. He wasn’t threatened by others or insecure. We have to get our ultimate security from who we are in Christ, not in our job, in leadership or our position in life. Jesus wasn’t afraid to deal with issues as they came up. He confronted the Pharisees and in one very famous scene, overthrew the merchants’ tables in the temple. As leaders, we should not be afraid to confront issues, but at the same time, we have to be discerning about the issues we do confront. It is easy to confront the wrong thing, so we need to know when to speak and when to remain silent. Jesus knew when to stop talking. When facing the toughest test of His life, standing before Pilate, Jesus did not speak. He was being confronted with vile, untrue allegations and was being mocked, but He chose to remain silent. Sometimes we feel the need to defend ourselves and it is true, that sometimes we do need to speak up and stand for what is right, but we must also learn when to speak, and when to remain silent. Sometimes saying nothing at all, is the best thing we can do. Jesus met many sick and dying and distressed people and His heart was always filled with compassion for them. I think compassion has to ‘possess’ us. We need to feel compassion for those around us, dream it, live it and experience compassion in all areas of our lives. It is easy to become hardened to the things we see around us, but Jesus’ life was all about compassion, about seeing the needs of people and releasing them into freedom. The UK is in a time of unprecedented change and with a new Prime Minister and Government in charge, we need to keep the leaders of our country in prayer. My personal prayer for Theresa May is that God would bless her and that He would enlarge her capacity for peace, compassion, care, love and mercy. I pray that as the Government leads our country into an unknown future, that God would give our leaders wisdom so that together, we can stand united once again. Look to the future – what do you see? Over the last few weeks, I have been spending some time with God, seeking the way forward for UCB as a ministry. I have been rejoicing about the past and those who have gone before us, but also rejoicing about the many lives which have been changed and transformed by the power of God’s Word. I recently met with a group of UCB supporters and shared what I see for the future. I want to share the same message with you and give you a glimpse of what I am seeing today. It is a glimpse that came from the challenge Jesus gave to his disciples when He said to them, ‘Lift up your eyes, and look at the fields and see how white and ready they are for the harvest’. (John 4:35). Instead of looking at the gloom and despondency and the brokenness that is in our world today, God wants us to see what He sees today. I see God turning the hearts of a godless society back to Himself. I see a church living and operating in the power of the Gospel. I see our Government, our laws, our society being reshaped by the truth of God’s Word. I see family units coming together into the knowledge and the transformation of God’s power, from the toughest parts of the cities to the most rural parts of our country. I see every generation, should it be young or old, knowing their worth and experiencing value and a purpose for their lives. I see people standing for what it is true and becoming intolerant for all the right reasons – intolerant of wrongdoing, intolerant of injustice. I see people getting ready to answer God’s call, like they have never done before. I see people standing together totally united for their cities and not afraid to say, ‘We are the Church’. I see the Church mobilised to take the Gospel to the towns, villages and the cities, making disciples and being totally committed to what God has called them to do. I see changing statistics; relationships being restored, addictions broken. I see miracles to be the order of the day in the life of our society, because the Church is acting like true light and salt, like never before. I see an army of young people having visions and I see older people, instead of being put ‘on the shelf,’ having dreams like they have never had before, supporting and standing with the younger generation. I truly believe and see a day is coming when God will pour His Spirit upon all flesh. I see the young and the old, the children and the grandparents lifting the banner of victory, looking at their society and truly believing that God has a message of hope, and using every means possible to lift up that message of truth. But I am seeing only what Jesus spoke of to his disciples and I am saying that it is time that we lift up your eyes from the negative, from the oppressive, from the depressive and recognise that the fields are white for harvest. And therefore it is time, I believe that we as a ministry and you as partners and supporters, that we actually start to switch on and see what God wants us to see. And let’s believe that the enemy will not have the upper hand. He may think that he has the best strategy, to steal, to kill, to destroy, but the verse does not stop there, because Jesus says even to us today, through His Word that He came that we might have life, not just life, but life to the full. (John 10:10). I strongly believe we are moving into an unprecedented hour and that we as a ministry need to be ready like never before. We need to be ready for people to be resourced and helped in their faith. And we need to be ready to resource the church, as I believe they will not be able to cope with the amount of people who will be coming in. They need to have reliable content. There is a saying in Media that ‘content is king’. This means that all our strategies are of no use, if our content, if what we write or share on air is not good. I believe today though that God is turning that around and saying, ‘The KING is the content’. I shared last week about the loss of our son Jamie and the way our lives as a family were changed forever. In the weeks and months after Jamie died, our pastor John Mosey was a wonderful friend. He helped us with the many practical arrangements and he led Jamie’s funeral service, providing a great deal of comfort and support in a terrible time. On Dec 21, 1988, in the same year that Jamie died, a Pan Am plane exploded over Lockerbie, killing everyone on board. John’s 19 year old daughter Helga was one of the victims. I remember the day we received the news and I drove to John’s house. John and his family knew Helga had been on the plane, but John was on the phone in the hallway, trying to confirm some more details. ‘I am so glad you are here,’ he said. ‘You know what it feels like to lose a child’. The circumstances were very different. Jamie had died from an unknown illness and Helga had been killed in a suspected terrorist attack. But now, in the same year, both families were facing the indescribable grief of losing a child. News of the Lockerbie disaster was in every newspaper and John became known at the time, for saying he would forgive the people who had taken his daughter from them. Our family did not have anyone to forgive in the same way, but as the years went by and I continued to carry a great weight of grief, I wondered if I did need to forgive someone. In April 2016, RT Kendall came to visit UCB. I spoke about his visit in another blog post but I did not share at the time, how much this visit impacted me. RT was filming a TV programme for UCB TV, but we asked if he would share something for UCB’s team leaders also. RT spoke for a little while about forgiveness and encouraged our team to forgive those who had hurt them. He then said he wanted to pray for those who needed to forgive themselves. This was a very important moment for me personally, as although many years had passed since we had lost Jamie, I had carried a silent burden of guilt, wondering if I could have done more? Could I have spent more time with him? Could I have done things differently? RT’s time with us and his powerful prayer, was a moment of breakthrough in my life. Over the next few days, I began to realise that I felt totally free. By the power of God’s grace, I was finally released from a burden which I was never meant to carry. 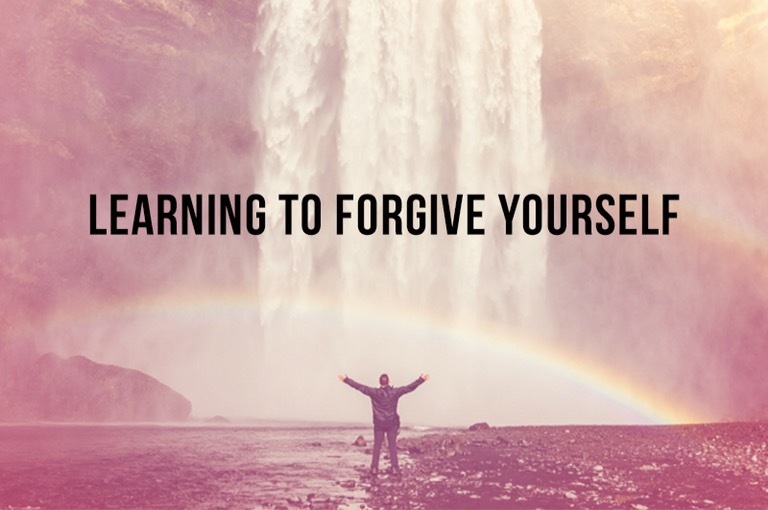 God had shown me that I needed to forgive myself. I believe that God wants all of us to be totally free, to not carry guilt and shame from the past, into our present lives. I thank God for sending Godly people into the ministry of UCB, who can show us more about God’s wonderful healing power. Jesus came to set the prisoners free. If we choose to accept it, we too can live in total freedom. This might sound like an unusual title for a blog post, but I will explain what the ‘Green Zone’ is in my life and why I believe it is important for every Christian to have one. In my previous retail career, I used to travel frequently, often covering more than 70,000 miles in the car each year. Those were busy days and I learned how to spend quality time with God ‘on the move’ while I was driving We talk at UCB about having a daily ‘Coffee with God‘ but I learned how to do ‘Driving with God’! I would often listen to the Bible on those long journeys, or I would play worship music, but my focus was on spending time in God’s presence which was very important in helping me get ready for the day. These days I do not drive as many miles each year, but my diary is often full. However, in my calendar is what I call the Green Zone. These are blocks each day (usually mornings) which are blanked out in the colour green and it is time that I purposefully make sure is not booked for anything else. The time is used differently every day, but it is sometimes spent reading God’s Word or praying with the team, but the aim is to welcome the real Boss into the working day! We are nothing without Him. Many of us have busy lives with demands from work, family and church and it can be easy to let the small discipline of spending daily time with God to slip. In my younger years, I would sometimes look at time spent with God as part of my Christian ‘duty’. But although I now have the ‘green zone’, it is not a duty or a ritual in any way, it is just spending time with my Father and getting His wisdom for the day ahead. After all, if I didn’t see or speak to my wife for a few days, I would miss hearing her voice or having her presence in my life. I feel it is the same with our Heavenly Father; we need to hear His voice and experience His presence in our lives every single day. It has to become a lifestyle choice. In Genesis, we see the first separation between man and God. Man was created to walk in unity with God, but when sin entered the world, their relationship was damaged. I believe the enemy knows that when we are in God’s presence, we flourish. It is where we get wisdom and strength and where we truly grow. If the enemy can stop or distract us from that time, he knows we will never truly grow. That is why this time each day is an essential, non-negotiable part of my day. Can I encourage you to find your own ‘Green Zone’ each day. I believe that time spent with God will change your life. It will give you strength and faith for the day ahead and help you to understand God’s purpose for your life. When trouble comes, will you stay the course? I am very pleased to hand the blog over to my friend Bruno Kondabéka this week. Bruno and his wife Joanne are great friends of our family and are also the pastors of Chichester Family Church. Some years ago, their son (who was then 7 years old) was struck by a terrible illness, but God did something remarkable. It’s an incredible story of God’s power at work. Bruno will share what happened next. My wife Joanne and I have three boys and as pastors of a church in Chichester, our lives are often busy. About two years ago, I was preaching a sermon series on the issue of suffering. I remember asking our church, when trouble comes, will you stay the course? We didn’t know then, that soon ‘trouble’ would visit our home and put our family to the test. It began without any warning, when one day our youngest son Samuel started to feel unwell. He had a slight fever but didn’t seem too ill, so we gave him Calpol and he stayed home from school for a few days to recover. Five days later Samuel started to get visibly worse, his temperature went up and he was complaining his head and neck were hurting, so we rang NHS Direct who advised we take him to the emergency Doctor. On Sunday the hospital checked him over but they felt satisfied that it was probably a virus and in time it would pass. However, by the middle of the week, Samuel was still not any better, so we took him to our GP and that’s when things became very worrying. Samuel was very agitated that day, which was not like his usual cooperative self, and he seemed to be in pain and was very confused. The GP rang the paediatric unit at the hospital and the Consultant suggested we take him straight there. We were greeted at the hospital by the Consultant and his team, and we started to realise that this was maybe very serious indeed. Again Samuel was very agitated and confused and had become light sensitive, so he was sedated in order to calm him down so he could be examined and given a CT scan. After the scan, our son’s condition deteriorated rapidly. He was finding it hard to wake up, his heart beat was erratic and he was not responsive to anything we said to him. The results of his CT scan were passed onto the specialists in Southampton Hospital and because they were concerned with what they saw, they arranged for Samuel to be transferred by ambulance to the Paediatric Intensive Care Unit in Southampton. To stabilise him he was put in a drug induced coma and he was quickly taken to Intensive Care. After further tests, we were told Samuel had Meningoencephalitis – a very rare and potentially deadly infection on the brain, caused by mycoplasma, a cross between a virus and bacteria, which causes the brain to swell. As parents, our hearts were broken and the tears flowed as we watched what was happening to our little boy, but we did what we could to hold on to God and to trust Him to take us through this. I remembered that just a short time previously, I had asked our church family if they were able to ‘stay the course’ when suffering came and now we were facing that exact situation ourselves. We felt all the emotions you could expect – we wept and we worried, but we were also encouraged by remembering words spoken over Samuel’s life when he was dedicated as a baby, by our friend Pastor Brian Downward from Bournemouth. The words at that time were that God had a purpose for his life and it was a good purpose. He was to be a man of God. I was also aware that our friends in Angers, France, were holding a week of mission at their church that week. I lived in France for some years and the church there had helped to sponsor me in my theology studies in South Africa. I had a phone call from David L’Herroux who told us that the church wanted to pray for Samuel. David felt it was important that the church prayed together during one of their services and so that night at 8.30pm at the hospital in Southampton, we connected by phone with the church in France (as David paused in the middle of his preach). We laid hands on Samuel as David prayed, and then because we were in the ICU and couldn’t make too much noise, I went outside the ward and continued to pray (with my arm outstretched toward my son’s bed) while the church prayed that God would heal Samuel. That day had been particularly hard as we watched the nurses struggling to get Samuel to wake up out of the coma and they were not succeeding. So, we were encouraged by this prayer and support and it gave us courage to believe for a miracle. I walked back to the ward and we continued to sit beside Samuel’s bed and literally just 30 minutes later, we had the biggest surprise of our lives when Samuel just opened his eyes. He had been unconscious for 3 days. The nurses rushed to see him and confirmed he was conscious – they removed his breathing tube and from that moment, he started to make a full recovery. The next day he was moved from the ICU and 14 days later, he was discharged from the hospital. The neurosurgeon who had worked with Samuel took us to one side and said that although she was amazed at his recovery, we should also expect the worst, as there could be long term damage. But just over two weeks later, Samuel was back at school part-time, and the following week, he went back to school full time. He will soon be celebrating his tenth birthday and has suffered no ill effects whatsoever. We thank God every day for the amazing miracle he gave us for our son. Bruno’s story is a wonderful reminder to us that God is very much at work in the world around us. At UCB, I encourage the team to keep being expectant and believing for the impossible. We live in a world which is bound by fear but I believe God wants to set us free in every area of our lives. I trust Bruno’s story has encouraged you to believe for more. We serve a mighty God! If God has given you a dream, don’t give up on it. I have been asked recently, how did I come to UCB? Where did this journey begin? I want to share with you a few thoughts about the power of having a God-given dream. If God has given you a dream, do not give up on it. I first came to the UK in 1973. I was a rebellious young man, running from the Christian upbringing I had been given. I wanted to strike out on my own, but it didn’t take long before I realised that I missed the precious atmosphere of God’s presence in my life. I went to visit my brother who was attending the Assemblies of God conference in Minehead. I had not planned to go to the actual conference, just meet up with my brother, but I stayed for the meetings and I had a powerful encounter with the Holy Spirit which changed my life. After that experience, I put myself before God and asked Him, ‘What do you want to do with me? What do you want to do with my life?’ I felt God encourage me to believe for the impossible and He put a dream in my heart, of going all the way to the Boardroom. At that time I was a janitor, so I did not see how that was possible, but I began to seek God’s Word. I believe God gave me insight into the verse in Genesis 1:28, where God said to Adam; ‘Be fruitful and increase in number; fill the earth and subdue it.’ For years, we have read this as a command to have children and populate the earth, but I believe this is also a command to be creative and fruitful in whatever we turn our hands to. By reading God’s Word, I began to develop business principles to live by and over time, God allowed me to become very fruitful. I started out as a janitor working for a national retail chain and before too long, I became a warehouse manager, moving to store manager until eventually (after 23 years), I became the Head of their national discount chain. God had truly fulfilled His promise to me, to take me to the Boardroom. It wasn’t because I wanted the ‘position’ or the power. It was because I believed that God wanted me to be fruitful in what I did. However, I had to learn some painful lessons along the way. In 1988, the business was going very well and my wife and I had a good life, when very suddenly, we lost our 13 month old son Jamie. Our lives were devastated and we cried out to God for answers, trying to understand what God’s purpose was. However, in years to come, God gave me a very powerful burden for the children and youth of the world. I had seen my own son die and I couldn’t bear to see the young generation spiritually dead and eventually leaving this world not knowing Jesus as their personal saviour and friend. Over time, God brought me into contact with the wonderful organisation OneHope and eventually He led me out of the retail industry, to work full time as a missionary with OneHope. Those were challenging times but God was so faithful to our family. I served in that capacity for five years, and then through a mutual friend, I was invited to a meeting at UCB. During my time in retail, the Welsh singer Bryn Yemm had sung in many of our stores. He was also a friend of UCB and had said to members of the leadership team at UCB, ‘you need to meet this French guy’. I was initially invited to share my testimony on air and I had the opportunity to have coffee with Ian Mackie, the founder and at the time Chief Executive of UCB. Over a long period of many prayerful conversations with Ian Mackie, I eventually joined UCB, initially as a Trustee and later as Ministry Director. We were later able to merge OneHope UK into UCB. And then in 2010, after many faithful years serving as the Chief Executive, Ian Mackie took on additional responsibilities with UCB International. This eventually led me to take on the role of Chief Executive. There have been difficult times in our ministry journey, but God has been faithful to the dream He gave me in 1973. If God has given you a dream, be faithful to His Word and don’t give up. A few weeks ago, our wonderful friend RT Kendall came to speak at UCB’s Foundation event. It was such a privilege to spend time with RT and his wife Louise – they are being used powerfully to help others understand God’s Word. RT has a great knowledge of the Bible, but he also lives what he preaches and isn’t afraid to be honest about the tough times they have experienced in full time ministry. It was such a blessing to have them here to speak to some key leaders from around the UK. The talks will be on UCB TV soon and will also be available on UCB Player. A few days after hosting RT and Louise, I went home to France to spend time with my brother Daniel again at their church’s evangelistic mission which took place in three locations. I am always amazed at the level of expectancy in the churches, not just from all the churches’ members but also from people (often non- Christians) who have been invited. To me, expectancy, coming and fully expecting that God will do something, is a fertile ground for God to move in and transform lives. We have once again been overwhelmed by God’s faithfulness, grace and mercy. Over 50 people stood to receive Christ and many more came forward to request prayer. They were facing many terrible situations; physical, emotional, domestic, addictions and more, but all came ready and expectant to receive a breakthrough. We have been doing these mission for two years now and every time we receive testimonies of transformed lives and incredible healing. We also encourage people to seek and bring medical evidence of what has happened, wherever possible. There are so many stories I could share, of people who have been set free from cancer, alcoholism and who have received Jesus, but it was particularly great to talk to Dominque. Six months ago after prayer, Dominque recovered full sight in both eyes. She has just been given her driving licence back and is now able to drive to church. She is also being trained for a new job and is looking forward to going to work! I had the incredible privilege of baptising her last Saturday during a special evangelistic event. I am again reminded of Hebrews 13 where the writer reminds us that God will never leave us nor forsake us and that Jesus is the same, yesterday, today and forever. More than 2000 years have passed since Jesus was physically here, but He hasn’t changed. He is still in the business of changing lives, healing broken bodies and bringing freedom to souls. If you are trusting God today for your own miracle, can I encourage you to approach Him with expectancy, knowing that God loved you so much that He gave his one and only Son, so that if you believe in Him you can have eternal life. Just as a child approaches their Dad with an expectation that they will be given what they have asked for, we can approach our Heavenly Father in the same way.